How to get a grip on change? In 1813 – 1815, after the French occupation the Kingdom of the Netherlands arose. In 1839 Belgium goes its own way, in 1848 we adopt the constitution that is still the basis of our democracy. Times are in flux again. The economical, ecological, financial and governance systems are all up for renewal and a new King shall not be the solution this time around. The SDi Change Dynamics provide insight into how change occurs and what the conditions are for transition without stagnation to a new situation. With a series of webinars CHE Global offer insight in and knowledge of the SDi Change Dynamics so more of us can be more skillful adept at making a positive contribution to the transitional changes of our time. Signaling that in this time of transition people want to know how they can make a difference, CHE NL started the project ‘Hello Circular World’ lead by Anne-Marie Voorhoeve. The aim was to start a long-term multi-media campaign that unfolds slowly and in which the deep longing for transformation would get a visible, palpable and identifiable voice with which people can easily manifest their own voices so as to come to a meaningful concerted action between people, people and brands, and people and nature. The kick-off of this project was a meeting of marketeers on their leading role in making a sustainable inner attitude ‘cool’. This was also the theme of the interview in het Tijdschrift voor Marketing with Herman Wijffels and Anne-Marie Voorhoeve. In the ensuing round-table meetings the process proved to move along faster than had been assumed. Other organizations embraced the ideas of a circular economy as if it was the most normal thing in the world. This has resulted in CHE NL putting this project on the back burner. 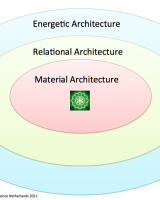 On the personal level the project team applied the theory of the 5 child assumptions, for monitoring they used ECO-therapy and the insights from the Energetic Architecture research. Dutch healthcare is entering a new age in which a broader view and approach are being taken than before. This is a necessity as otherwise health care will be too costly to afford. Nowadays, in diagnosis and treatment there is too much focus on symptom alleviation, which does not provide amelioration to the general health condition of the Dutch, while we do live longer and also need more care. 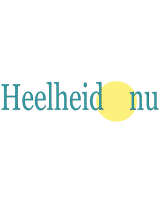 As a community of practice, the CHE Health Constellation developed the concept Heelheid.nu as a movement with a core that navigates with the compass that sees wholeness as the source to maintain and re-establish the balance between body, mind, emotions and spirituality. It’s the client and the client alone that can re-establish this delicate balance; health workers support this process in a mutual relationship. Every client is welcomed as being whole and the support is being given taking into account all aspects of the human being and applying all available sources and methods, regular and complementary. 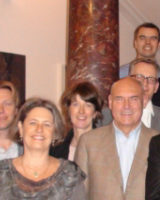 After launching the website, in 2013 the Health Constellation is considering next steps in manifesting wholeness in Dutch society for the world and with a broad basis of relevant parties. Designing an Integral Research Framework so we had a well-defined area of practice for the research, lead by Ard Hordijk. 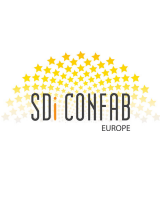 Just as in 2006 and in 2008, CHE NL took on the organization of the European SDi ConFab. This time theory and practice were combined with participants involving themselves on the first day with three hot issues in the city of Almere. Together with inhabitants, municipal officials and volunteers they considered the question of a school that wants to play a constructive role in its local environment, of a neighborhood that wondered what to do to keep the inhabitants vigorous and healthy, and of a neighborhood association that wanted to look at patterns that inhibit their flourishing. The SDi-perspective proved to generate revelatory new insights in all three cases on the basis of which next steps were defined. The organizing team consisting of Anne-Marie Voorhoeve, Jasper Rienstra, Leida Schuringa and Gaston Remmers (lead) provided ample time at the beginning of the conference for a coming together ritual. This was instrumental in creating enough cohesion that the participants organized themselves effortlessly within the rest of the program that was mainly held in Open Space. CHE NL participated in a Learning Partnership under the European Grundtvig Lifelong Learning Program in the cooperating development of the training Transition2Resilience that supports people in local initiatives as well as municipality civil servants to create sustainable living environments. 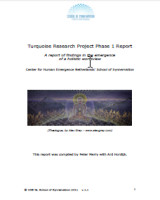 Visiting six of the partner locations, existing modules from the Transition Town, Powerdown, Dragon Dreaming and Spiral Dynamics trainings were combined with elements from the Permaculture Design Certificate Course into a new format. CHE NL was represented by Auke van Nimwegen, Lena Huisman (Venwoude) and Lisette Schuitemaker. The other participating organizations were: GEN-Europe, the European arm of the Global Ecovillage Network; Transition Network (UK), that supports initiatives worldwide in finding local answers to climate change and rising cost of energy; The Sustainable Projects Ireland that runs the Cultivate Living & Learning Centre in Dublin and coordinates the Irish Transition Towns; Permakultur Institut (Germany) that represents and offers permaculture trainings in Germany; Findhorn Foundation Ecovillage (Scotland) which has the lowest ecological footprint ever measured in the western world; The Hub (Belgium) as a network of collaborative and learning workplaces; Associazione Dendera (Italy) an ecological society based on ethical and spiritual values, named model for a sustainable future by the UN. 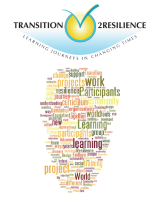 The first Transition2Resilience trainings have been given in Findhorn. In an attempt to organize humanity to do what is necessary to counter disastrous climatechange, according to scientific research, the State of the World Forum, initiated the 2020 Climate Leadership Campaign. CHE The Hague Centre designed, developed and facilitated a process that took place during the kick off at Belo Horizonte, Brazil. In this process, supported by the city of Belo Horizonte and the state Minas Gerais, leadership, coherent forces (State of the Wolrd), facilititation (The hague Centre) and online collaboration and monitoring (Gaiasoft) were brought together and combined. 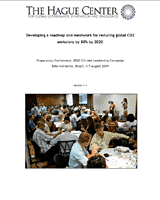 Through the process of Meshworking that CHE The Hague Centre facilitated at Copenhagen during the COP15, visitors were approached and asked for there contributing through expressing which piece of the puzzle they were holding to contribute to climat change. Meanwhile, the State of the World Forum campaign has ended. Each year, over half a million women die during pregnancy and childbirth, due to complications that can be treated or prevented. In sub-Sahara Africa, chances are 1 in 16 of women dying of these causes, as opposed to 1 in 3.800 in Western nations. (UN Millenium Development Goals Reprot 2007). In June of 2007, twenty partners from a broad cooperation of public and private sector, signed the Schokland Accord on Miliennium Development Goal 5 (MDG5), with an aim to reduce the ratio of death of mothers through pregnancy and childbirth. CHE NL was asked to facilitate a process that would lead to greater coordination and cooperation between the partner organizations. The approach that was chosen was one of reformulating this public-provate parnershiop as a Meshwork. 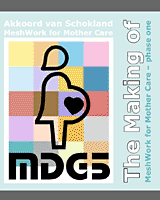 The Schokland Accord that led to the birth of the Meshwork for Mothercare, was supported by members of parliament from political parties CDA, PvdA, SP, VVD, Christenunie, Groen Likns and D66. The experience of Parliamentarians Take Action on Maternal and Newborn Health which was brought together and supported by the World Health Organization (WHO), Inter Parliamentary Union (IPU) en the Dutch Parliament -Tweede Kamer is relevant for people and organizations that occupy themselves with large scale change, particularly in dealing with complex, multistakeholder questions. It is often said that in these times of great challenge, we have all means and aid and all solutions available to confront these challenges. From data provided by WHO, it appears that for achievement of Milennium goals 4 & 5, diminishing childmortality and improving mothers health, we do. 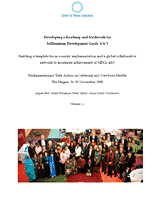 This document describes a process that builds on the work of the WHO, IPU and the vision of advocate Chantal Gill’ard, at that time member of the Dutch Parliament, and her initiative Meshwork for Mother Care, in which people, organizations, means and aid and solutions were brought together to actually achieve the MDG 4 & 5. Modeling and Practice of Integral Development in rural Zambia. Zambia transformed from a closed community with fixed thinking paradigms to a community open to change where people collaborate in an open, confident and active way to improve the local life circumstances. Significanly less people than elsewhere suffer from and succumb to malaria because the community is open to interventions that are congruent with their perspective. A perspective that has been broadened since they embraced the use of ICT that offers both a view on the world and a way of presenting their process of transformation globally. The transformation that has taken place is the result of social innovation based on an integral approach in which investments in education, leadership skills and community go hand in hand. From CHE NL, Anne-Marie Voorhoeve, Alain Volz and Jasper Bets helped map ways of mentoring that empowered local people to become the changes they wanted to make to improve their lives individually and collectively. Together with people on the ground and Gert-Jan van Stam as initiator and lead, they identified the obstacles to next steps in development and how these could be removed. 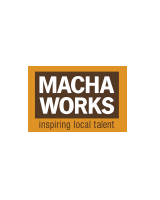 Nowadays, Macha stands a shining example of how an integral perspective can inspire people – and give them the tools – to collaborate in local initiatieves towards a better future. Manifestation: Klaar om te Wenden?! 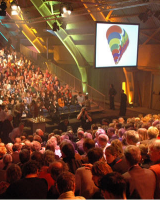 Within a year after its inception, CHE NL put itself on the map by organizing an event which brought consciously transitioning Dutch people together on a spectacular evening event: Klaar om te Wenden?! which can be translated as ‘Ready about?!’. In two months time, the event took shape while through viral marketing people were reached who understood what this was about. Close to 900 people came to the former factory where the spiral colors shone. Speakers were Herman Wijffels on the switch to a system in which feminine values are incorporated switch, Ervin Lásló on the many experiments needed in times of non-linear change, Don Beck on the leading role that the Netherlands can play and Peter Merry on releasing expectations and allowing for the change that wants to happen. As the presenter of the evening Marianne de Jager set the tone: yes, we are ready to go about and head for new horizons!